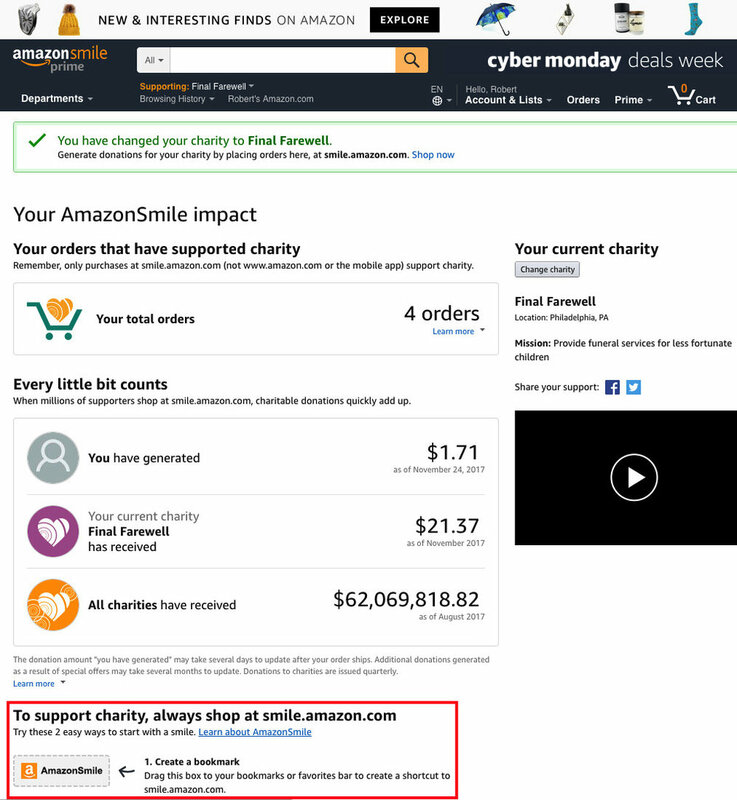 Once set up, AmazonSmile will donate 0.5% of every purchase. For a $100 purchase, Final Farewell will receive 50 cents! 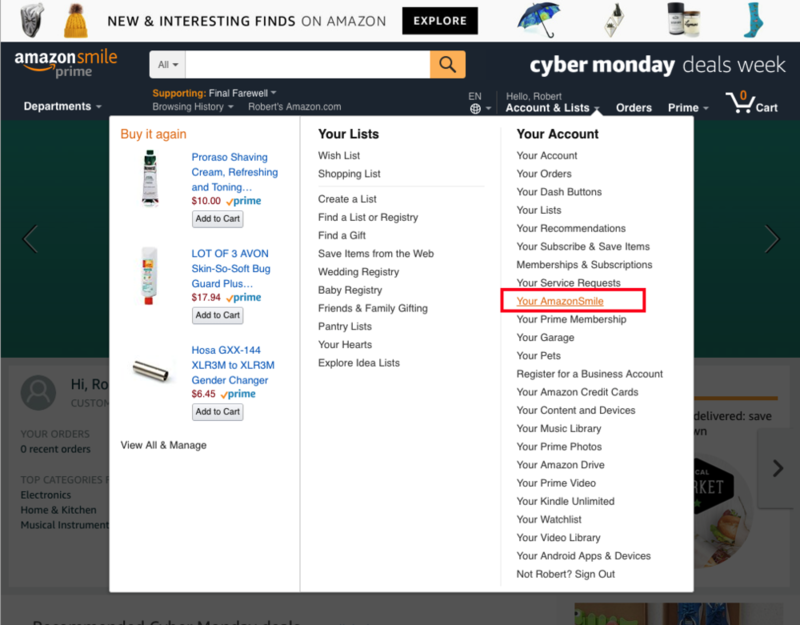 1) Log into smile.amazon.com, then open the Accounts & List menu. 2) Select Your AmazonSmile from Your Account. 3) Click the Change charity button. 4) Type Final Farewell into the search box then click the Search button. 5) Click the Select button next to Final Farewell. Drag the AmazonSmile box at the bottom of the window to your Bookmarks or Favorites bar, or select the Add Bookmark… command in your browser. That's it. Thanks so much!